True to its name, the Eggciting Family Fun Run is indeed one of the most Eggciting fun runs that I’ve ever joined! It’s filled with lots of surprises, side games, booths, and overflowing giveaways for all the Eggcited participants! 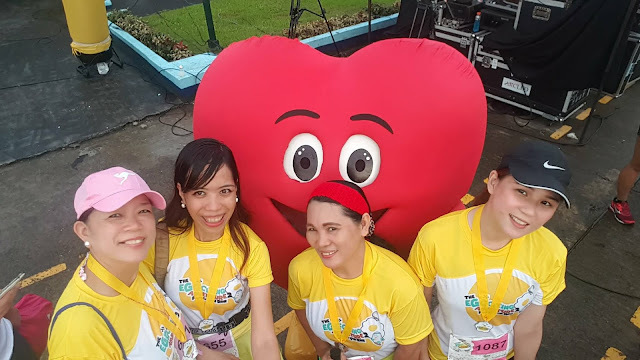 With the success of the Eggciting Adventure Family Fun Run last year, Guerilla Race and Aldenver Marketing Inc hosted this Eggciting Family Fun Run Adventure 2017 last October 15, 2017 at the Camp Aguinaldo Grounds. And since it's a Family Fun Run, I ran with my very supportive parents! Thanks so much to the Walking Photobooth for our instant photos! And look at all those lootbags and giveaways! Everyone went home carrying bags filled with useful goodies for a healthier lifestyle! As a bonus, the participants were treated to a cooking demo using eggs as the main ingredient! And our egg mascots looked very delighted after seeing their brothers being cooked in front of the big crowd! These were the kids at the starting line of the 200M dash. Look how they excitedly ran to the finish line where the Chicken and Egg Land awaits them! Here at Egg Land, kids had fun solving the Eggstra Fun Puzzle! They shot Egg balls at the Eggsketball! And upon completing all the Eggciting activities, the kids received special lootbags! 21K Female Winners! And the fastest female runner is Ms. Seannah Swift who finished the half-marathon with a time of 1 hour and 38 minutes only! 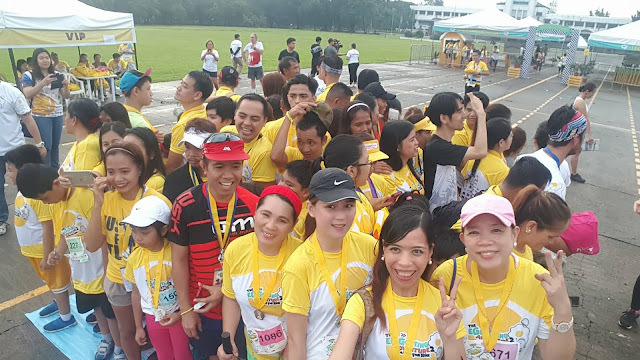 Special thanks to all these energetic marshals headed by Mr. Eugene Lim of Team Rundirection. Because of them, the whole race was very organized and everyone enjoyed crossing the finish line! 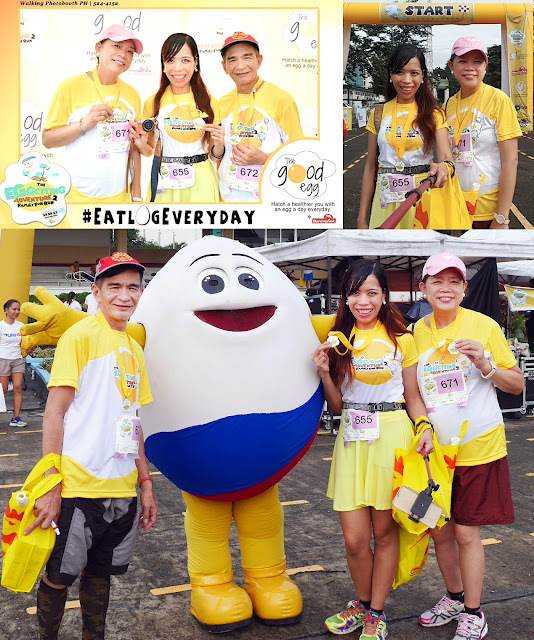 Finally, here are the organizers the an EGG-Toast for a very successful and eggciting fun run! Cheers and congrats to everyone! :) Happy World Egg Day!